Anyhoo, I have two cards to share today! 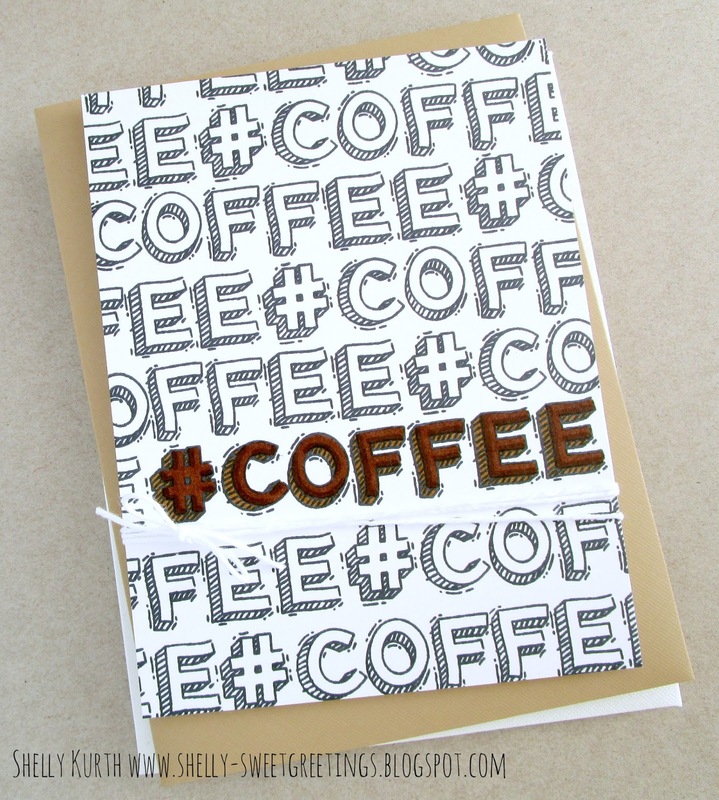 And both happen to be coffee themed cards. :) My first card is for the current SugarPea Designs Mix It Up Challenge #21. I saw that cup of goodness and instantly thought of coffee, which led me to making another simple CAS card. Yep. Nice and clean. Seeing the leaves in the photo, I wanted to make my card somewhat 'fall' looking. 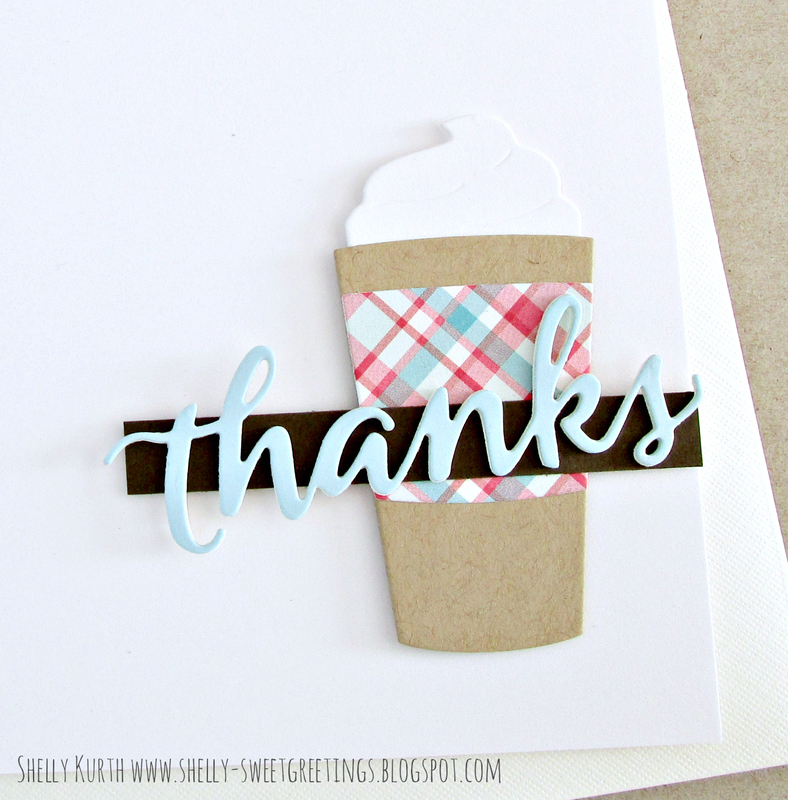 So I choose some kraft cardstock of my cup and a little plaid patterned paper to go with. After, I added a strip of dark brown cardstock with my sentiment piece on top. Which for my sentiment piece I used a off white/cream cardstock (3x) then used a light blue cardstock once for the top piece. For my second card, it was just pure fun. No challenges, no DT work, just fun. 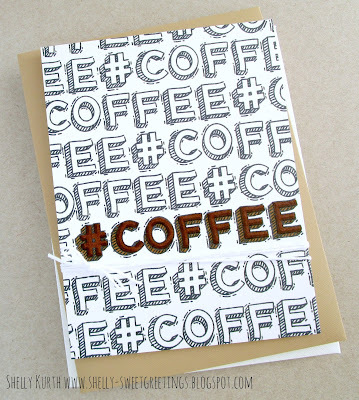 Shelley, not one but TWO amazingly fun coffee cards! I love the CAS first card and the fun font of the second! These are both so fun! I love the touch of plaid! Oh my....you are so clever!!! 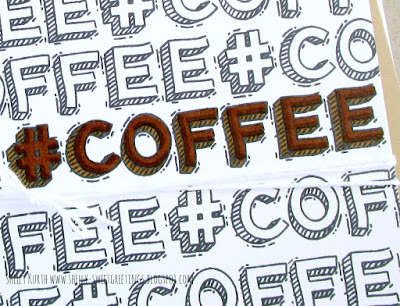 I am in love with your plaid coffee cozy, so creative and something I have not seen before. 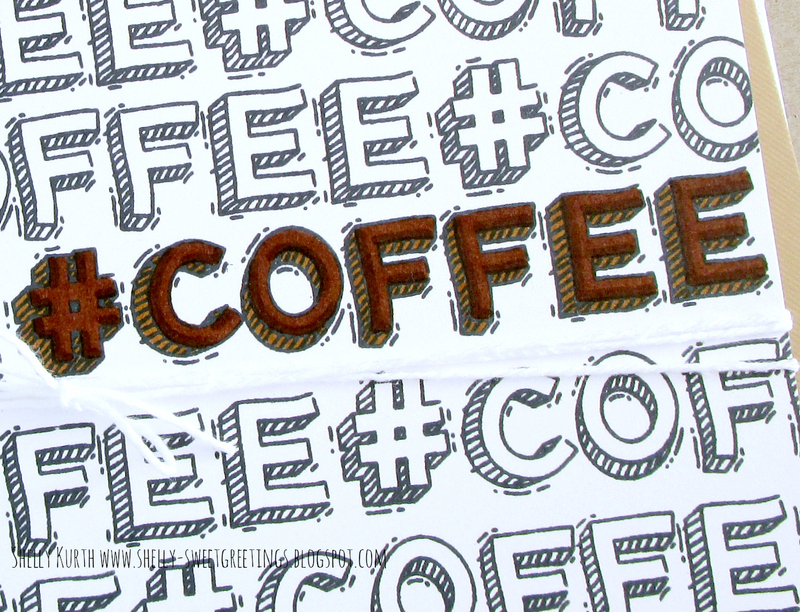 Love your sweet coffee card. Thank you so much for taking the time to play along with us at SugarPea Designs! I would love to have those coffee treats Shelly. Thank you for sharing with us at SugarPea Designs this month! Love, love, LOVE that plaid coffee band thing (I don't drink it, so I don't know what it's called, but it's adorable!) So glad you joined us at SugarPea's Mix It Up Challenge!